Mary and Martha's Personal Care provides assisted living for seniors who require personalized assistance, supportive services and compassionate care in a professionally managed and carefully designed suite. It's the perfect alternative for seniors who are no longer able to live in their own homes. We provide the ideal solution for seniors who need help with daily activities, such as bathing, dressing and medication reminders. We focus on their wellness and in keeping residents as independent as possible by providing an individual plan of assistance. Our residents enjoy a beautiful space, delicious meals, social activities, arranged transportation, and personalized assistance and care. 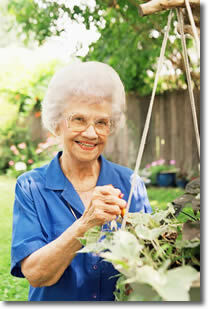 Housekeeping - Provided daily, residents remain independant by performing day-to-day tasks, with assistance as needed. Food Service - Three meals served daily, plus snacks and coffee. Maintenance - Building, yard, and equipment maintained without worry to residents.